Wrong governmental management, for example by establishing more than 100 dams throughout the country without considering long-term consequences for both people and nature / wildlife. Low prices for fresh water, which causes companies and households to spill a lot of water, for a single household up to three times more water than a similar European family. Inefficient water use by farmers in Iran, which consume up to 95% of the water for their products. The inequality of the geographic situation of Iran, characterized by the large forests in the region of the Caspian sea, which date back to the glacial era, versus the desert climate in the middle of the country and the warm and humid sea climate in the south of the country. In addition, while changing water supply and demand is inevitable, exactly what that change will look like around the world is far from certain. A first-of-its-kind analysis by the World Resource Institute sheds new light on the issue. Using an ensemble of climate models and socioeconomic scenarios, WRI scored and ranked future water stress—a measure of competition and depletion of surface water. 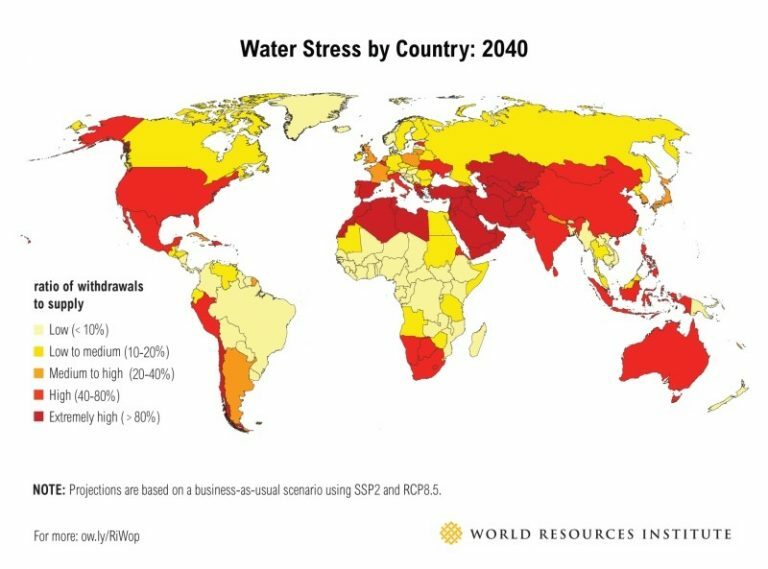 They found that 33 countries face extremely high water stress in 2040 and Iran is number 13 in the list. This means that businesses, farms and communities in these countries in particular may be more vulnerable to scarcity than they are today. NASA predicted massive drought for Iran in the next 30 years. It means a big part of Iran will become absolute desert and raining average will become half of what it is now. FYI, today raining average is one-third of the average of the world. NASA predicted and ranked Iran as number 4 of the countries, which will be harmed by drought. Alternatively, as Isa Kalantari, former agriculture minister and the current chief of the Department of Environment of Iran said: soon 70% of Iran population shall immigrate to survive! A country, which has more than 80 million population today. In order to deal with this situation NGO Simba has created a rescue plan for Iranian wildlife, which consists of several sub-plans. 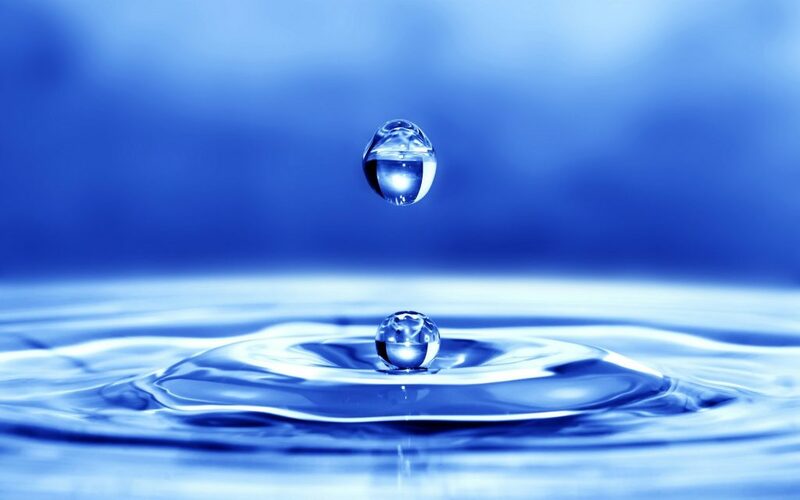 One of these sub-plans is a water technologies and methods research project which has to find an answer, both in a theoretical and practical way, for the water situation in Iran. The outcome of this research is very important for both the Iranian people and Iranian nature and wildlife. There are already a few ongoing researches about water management in NGO Simba but they are for specific projects. This part ranges from methods for harvesting the rain or watershed management to new methods like harvesting water from fog or thin air, fog nets or HCPVT or well-known methods like desalination of salt water. There are many purification methods in different categories like heating base methods, chemical purification, filtration or oxidation. We are looking for practical methods in personal, house, village and bigger scales. Well-known methods like membrane filtration, reverse osmosis and ultraviolet disinfection shall be studied also. Research on mechanical and physical methods as primary treatment and biological processes as secondary treatment etc. Methods to prepare potable or grey water, how to manage wastewaters etc. NGO Simba has currently a wide range of projects in Fars province, especially in Firoozabad area. In these projects we work closely together with local people and we have full support of the local government. To make above mentioned project more specific and the result more achievable, we decided to limit this research in the practical field to Bourzakan area, which is the focus of our Khorsid project. We consider it as sub-project to be implanted in this project. In future there will be several other projects, both in Fars province and other provinces in Iran.